Feeling sick, or maybe a little limp–ditch the Tylenol and Viagra, baby, take a bite of iguana. That’s right, the reptilian vegan of Central and South America is a regional delicacy making its way up to North America. 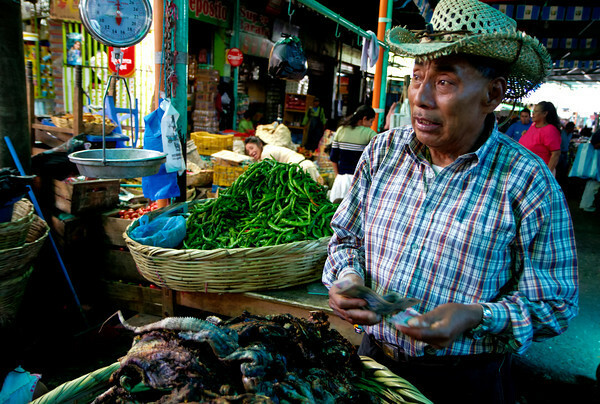 Salvadoran immigrants pay big bucks for the languid lizard’s meat, as they believe it to have magical cure-all properties ranging from fighting the common cold to improving sexual performance. Border officers in San Diego last week stopped a man trying to sneak iguana meat across the U.S.-Mexico border. Odelay, pinche Iguana-runner–whatchoo got under them fishes? 159 pounds of prime pink iguana flesh, ripe for consumption. Okay, okay…before you get grossed out: Central and South American people have been eating the Green and Black variety for 7000 years. Iguanas are now raised on farms for such consumption, and Salvadoran and American businessmen have been bringing the meat to the U.S. to help provide a “taste of home” for Latinos now living in the States. 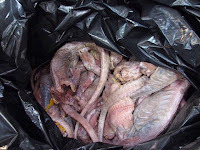 The meat is said to have a taste similar to chicken, but a bit stronger and tougher. At $14 a pound (retail), or about $50 for the average purchase, it isn’t for ordinary meals. Still, “the demand for them is higher than we can provide,” says Frank Rodriguez of Distribuidora Cuscatlan, an importer of foods from El Salvador. The seized iguana meat from last week was turned over to U.S. Fish and Wildlife Service agents, and the man, and American, was arrested. The meat had an estimated value of $4,500. Well, I don’t usually knock people’s culinary preferences because I know people gotta do what they gotta do, but methinks the wild iguana population in El Salvador be shrinking. 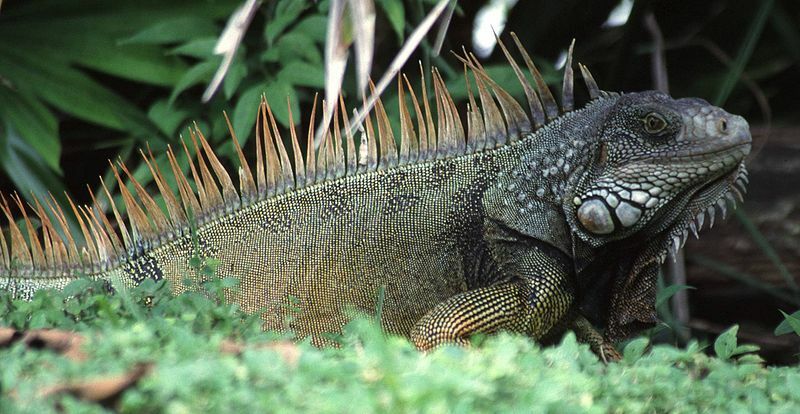 According to one 2006 report, the Salvadoran government, in response to over-hunting and habitat destruction, has cracked down on the gaming of iguanas. So, although it may be a natural cure for erectile insufficiency, I don’t know that bringing this little ‘taste of home’ to an enormous market like the U.S. (and reportedly Asia) is all that great for the little Latin American lizard.